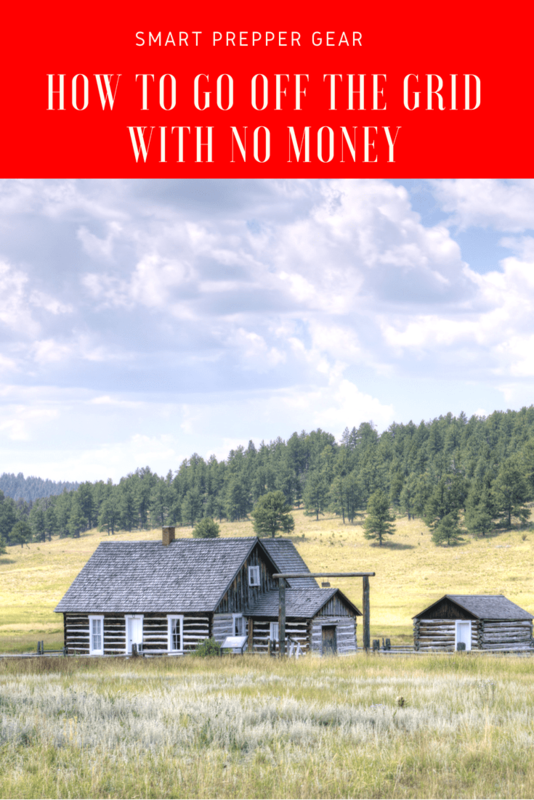 How to go off the grid with no money is a common question that many people are asking these days. In the luxury that we take for granted today, going off the grid may seem non-sensical. But the truth is there are hundreds of thousands of people all over North America who will choose to live off the grid. Why? Because they’ve decided that living a life of true self-sustainability is better and more rewarding than living a life connected to the power grid. In other words, those who live off the grid don’t want to be dependent on the outside world for resources. By living off the grid, you are free of society, government, utilities, and everything else we’re accustomed to as a civilization. Is this a good thing or a bad thing? It’s up to you. If you’re reading this, it’s probably because you’re at least interested in the off-grid lifestyle. You probably desire independence, the ability to sustain yourself and to work outdoors in nature. You probably also want to find a way to go off the grid in a way that costs as little as possible. Here’s the truth: going off the grid is going to cost you some money no matter what. But it isn’t going to cost you a fortune either, and there are steps you can take to reduce the cost as much as possible. Let’s talk about how to go off the grid with no money in greater detail. What Does It Truly Mean To Live Off The Grid? Off-grid living is nothing new. In fact, for most of human history, humanity has thrived living off the grid! Only a couple hundred years ago, every family that sustained itself did so without being connected to a ‘power grid’ of sorts. Today in the 21st Century, living off the grid means living free of any dependence on the rest of society. You sustain yourself. Therefore, this means no connection to the power grid, no running water from a water company, no heat and electricity from an external supplier, no going to the grocery store and instead raising your own livestock and gardens, and without any dependence on society, the public, or the local authorities in any way. Most people who live off the grid these days do not truly live off the grid. Even though they may create their own running water and electricity and such, they may still go into town every once and again to restock on food and supplies, to watch a movie at the theater, to see a sports game, and so on. And that’s perfectly fine. If the kind of lifestyle you’re imagining is one where you raise your own food and create your own running water and electricity, but still go into town every so often for supplies or for other purposes, that’s totally cool so long as you keep your dependence on society to a minimum. Transitioning fully to that kind of lifestyle may sound like it requires a large financial investment, but soon you will learn how to go off the grid with no money at all (or at least a very small investment). While some people live off the grid because they have to, for most, it’s a choice. You’ll have to work to sustain yourself a lot more, but the tradeoff is you’ll also get a lot more freedom. One of the biggest advantages to living off the grid will be the fact that you can sustain yourself even in the event of a major crisis that would devastate the more urbanized areas. You’ll still feel the effects of economic collapses, EMP attacks, and natural disasters no matter what, but you’ll also be able to sustain yourself in those dangerous times. In contrast to this, in those kinds of major national disasters, those who are connected to the power grid and dependent on society will find themselves in absolute chaos with the risk of being killed significantly high. While the stores are being looted and people are boarding up houses, you’ll be nestled quietly off on your property and comforted in knowing that you can still feed your family. That doesn’t mean you won’t ever face danger, but it does mean that you’ll be at significantly less risk in contrast to those who are fully connected to the grid. So what are some steps you can take on how to go off the grid with no money? Well, long story short, if you truly have no money with which to go off the grid, you’re going to need to start saving. Yes, saving money is the first step to living off the grid. And guess what? There are a huge number of ways you can save money! For one thing, cut some unnecessary bills. Gym membership? You can work out at home. Going to the movie theater? Wait for it to come out on Netflix or Digital HD. Eating out? Eat at home. Car payment? Sell your car and get a less expensive one (and with cheaper insurance). Health insurance? See if it’s possible to get a cheaper plan. Shopping? Go to discount stores or buy in bulk to save per item. You get the idea. You would also be amazed how simply making it a habit to always use coupons can really save you on money as well. All in all, it’s possible for you to save anywhere from $500 to $2,000 a month on average just by cutting back on your expenses. A few months of saving, and you’ll have enough to go off the grid. While saving money is great, you may easily be tempted to use it. That’s why you need to have a place to store your saved money, and the best place to do that will be a new off-grid savings account where you make it a rule to never touch it. This bank account should grow, from a few hundred to a thousand and then to several thousand, and the more it grows the more excited you will be to add even more money into it so it grows further. Your off-grid property also needs to be affordable, and if the cheapest property out there is what you’re looking for, you’re probably going to have to accept that that property will be a little run down and a ‘fixer-upper.’ If there’s already a house on the property, for example, there may be several issues that you need to fix on your own, but the tradeoff is you’ll be paying less up front. Also, remember that you don’t have to buy a huge piece of property either. 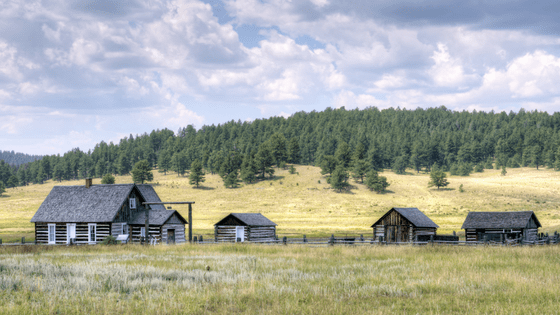 This idea that going off-grid means you have a massive eighty-acre homestead is ridiculous. Many of those who live off the grid have a small piece of property of two to five acres. Be absolutely sure that this is the property you want before you buy it. In the United States, you can expect to pay $3,000 to $4,000 for every acre of land. So for a five-acre plot of a homestead, that’s fifteen to twenty grand to put down. Yes, there are some areas where you can buy acreage for less than that, but 3k is a good baseline to expect. If the property has a house or sheds on it, then obviously it’s going to cost much more than that (more on this in the next section). Once you buy the property, the only real step left will be to move in. It’s possible to move completely off the grid in less than a month if you set your mind to it. How Much Does It Really Cost To Go Off The Grid? So you’re probably wondering at this point: how much will it REALLY cost you to go off the grid? For a small piece of land with a small house on it, $100,000 to $150,000 is probably what you’ll expect to pay. As an alternative, you could buy a small piece of land for a fraction of that price, and then install a tiny house on it for ten thousand dollars or higher. This would obviously only work for singles and couples, but it is still something to think about. As for additional expenses, you can expect to pay five grand or a little less for a solar system with 1500Watts, while a septic system can cost you up to twenty-five grand. So how do you go off the grid with no money? In short, you don’t. But you can go off the grid on the cheap, at least when compared to the $250,000 suburban neighborhood homes that are a mainstay in the United States right now. You’ll really need to save money if this is something you want to pursue, and then afterward, you’ll need to look for the cheapest property you can get while keeping additional costs to a minimum. That really is the recipe for finding a cheap place to live off the grid right now, and while it may sound overly simplistic, you can’t simply buy land and then move onto it with everything you need for free. It’s simply unrealistic to think that way. Save money and find a good deal. Do that, and you can spend less money moving off the grid then you would moving into a neighborhood home. Next: Rural vs Urban Prepping: Which is Best?